Tomoko Sauvage, Japanese musician and artist active since mid 2000’s, investigates the sculpturality of sound and improvisation in relation to the environment. 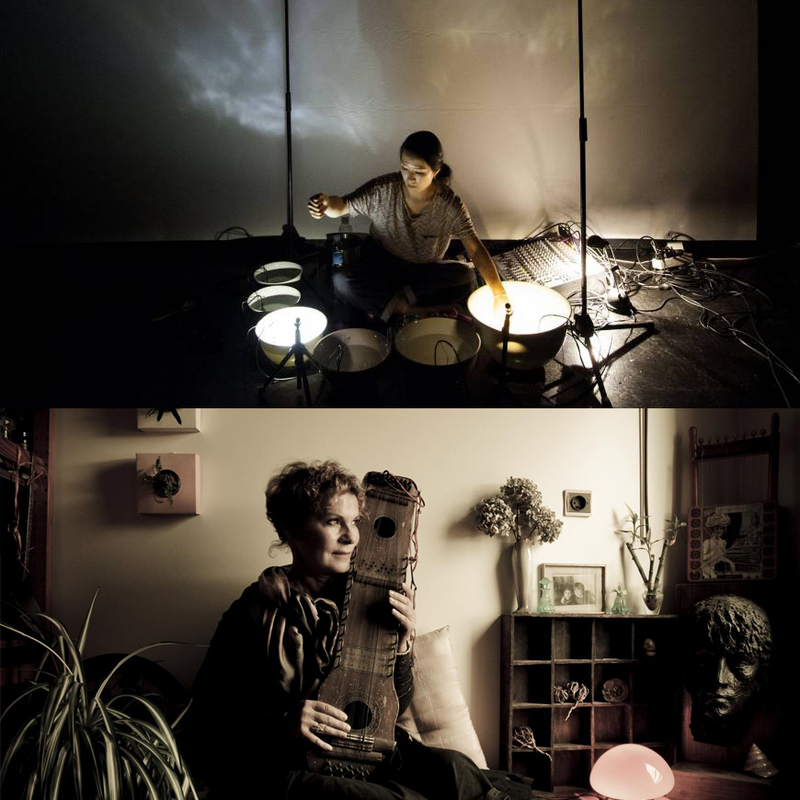 Mainly known for a musical / visual research about ‘natural synthesizer’ of her invention, composed with diverse fluid, bowls, ceramic, light and underwater amplification, Sauvage’s approach is attached to questions of alchemy, meditation and balance between hazard and mastery. Under the form of performances, installations and musical compositions, her work is regularly presented in Europe, Asia and America. 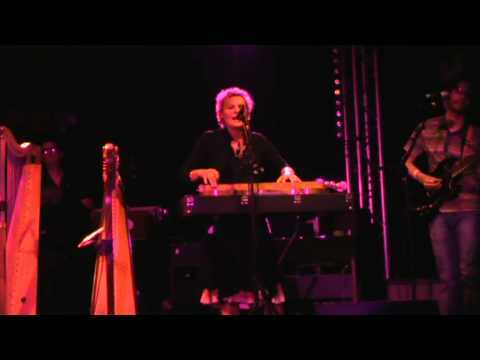 Emmanuelle Parrenin sings (in French) and plays the hurdy-gurdy, various harps, the thumb piano, the spinet des Vosges, the dulcimer, singing bowls… Founding figure of the revivalist folk scene in France, she toured everywhere and played with Gentiane or Melusine, as well as Didier Malherbe, Vincent Segal or Alan Stivell. She is however best known for having recorded thirty years ago an enigmatic and beautiful album, “Maison Rose” highly sought on e-bay: where ultimate post-folk meets trad and experimental electro-acoustic. Now she dusts off her instrumentarium to reinterpret some of her old songs, as well as new ones co-written with French agitator Flop. Against all odds, this collaboration gave birth to “Maison Cube” her second album, out in January 2011 on Les disques Bien label.